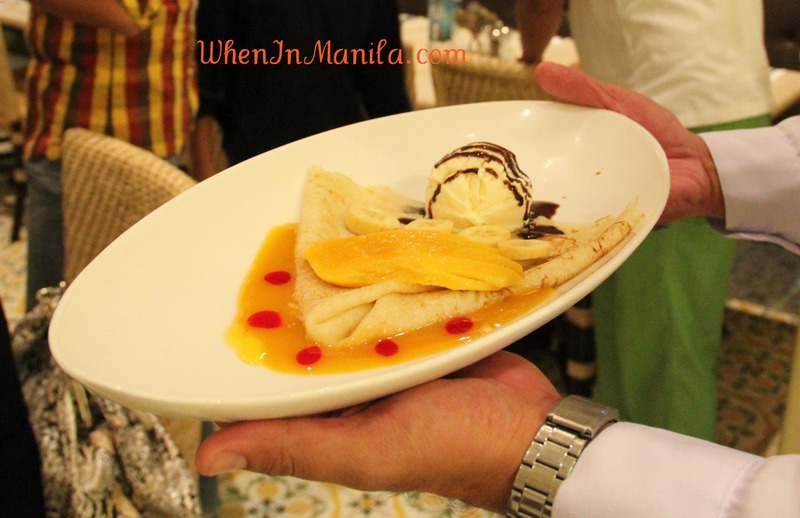 When In Manila… think restaurants, think The Stock Market Cafe, Bonifacio High Street. My relationships with people always bear an uncanny resemblance to how I react to the food they like. The American concept of FRESH,ORGANIC and HEALTHY dine-out experience is a relatively new baby in Bistro Group of Restaurants colorful family: TGI Friday’s,Fish &Co., Italliani’s, Flapjacks, Pig Out and Crazy Garlic. Squeaky clean exteriors done in lemony and white hues always made my head turn towards this unusually named upscale restaurant THE STOCK MARKET CAFE. A little vending window often tempted my kids to take-out Frozen Yogurts…so we used to step in for a closer look at the flavors.But there was something missing…the ambience did not hold us in. 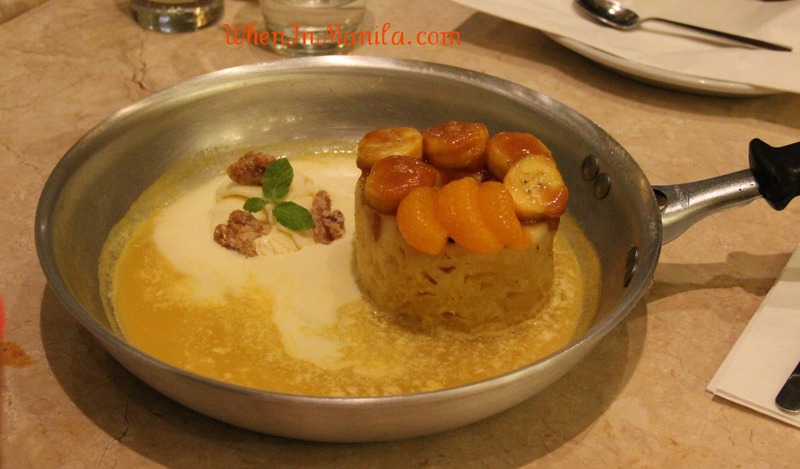 And we always stepped out after ordering our desserts from the counter. Last night ….it changed. I was invited by someone I had casually known for over six months but never really sat down with. He was nice. quite nice : open and friendly –just like the place we were sitting to dine in! The max hour and a half that I had promised him, ran a full length as he steered me from beverages to starters to mains n desserts. He chose a vegetarian salad for us and I knew this was the place for me: the tropical slice of orange broke open between my teeth! Then came the sudden nuttiness of candied walnuts spirinkled in it. He looked amused at my surprise. Laughter and conversation were easy after this. Romaine leaves dressed in with Sweet Sixteen PineappleVinaigrette were just right for a light eat. My son was also with us, sitting by our side: observing me how I judged, what I would say, will I be polite, or was I truly warming up ? House wines are on display but we ordred fruit flavored specialities. My kids are critical and rather too innocent to be polite sometimes. They test any new place by asking for some classic but tricky ingredients and look for the response. “Do you have soda with hint of lime, but not too sweet?” he asked. I reminded him that this restaurant used to be a Del Monte franchisee a year ago. So one can still expect juice from the can. But all of us were happy at the fresh fruit drinks and Del Monte can combinations that showed up at the table. When children are happy with a drink, half the battle is won. It was soups that next stole the show. Cold soups are a new concept in Manila. Some friends unexpectedly joined us. And they really took over the Clam Chowder that came in a bread basket. “Oh we were going past and saw you sitting here…Thought we will also check out the place.” I was convinced that the Stock Market will do better with some tint on their windows, some sheer curtains. But apparently this Stock Market is all about transparency. Fresh, clean feel, not cozy nooks. An easy ‘Juan Tamad’ (lazy male) bonhomie changed the character of the date and made it truly Filipino. “We are clannish, as a race. And we love to bond over food. Most women in cities are working also. So instead of dining in, we just raid the eateries. I am gonna bring Dad here for the Father’s Day, ” Ken decided as he took another spoon ful of the chowder. Starters can easily double up as merienda (Filipino after-lunch treats)….Indulgence is the word when taste, texture and temperature are so perfect! This is rare.’We like to eat five times a day…so this 10 am to 11pm restaurant with over 45 items on the menu really can work for all times of walk-in. This is different from the usual fare of potato skins or buffalo wings!’ the boys declared. I was already feeling welcome in this clannish Filipino group. Almond crusted Chicken tenders…nutty on the outside and moist like kebabs on the inside. IMy Indian palate felt the memory of home blossom on the taste buds, but with a ‘nutty’ difference. Of course it wasn’t spicy…or it might taste like chicken seekh kebabs. My relationships with people always bear an uncanny resemblance to how I react to the food they like. This familiar yet unfamiliar dine-out at THE STOCK MARKET (with ambition for American wave of Freshness) was exciting and promising indeed. THE STOCK MARKET CAFE staff brought in a plate of Seared Ahi Tuna. Its a JAPANESE cuisine inspired dish resting on fresh salsa made of organically grown tomatoes, onions and peppers. The restaurant was sporting a multi-textured global platter cuisine in an upscale casual dining format. The table arrangement was flexible. Soft instrumentals were playing in the backdrop. I looked up at the mezzanine above us, done in country style woodwork. Corporate Lunches for upto 30 people can be organised in the exclusivity of that level. It is equipped with projector for short presentations before or after the food. “Is it Wi-fi emanbled?” someone asked. Sure THE STOCK MARKET cant be without one. But the signal was not so good. Good the main course arrived and folks put away their social networking to connect to the rice and bread board. Being an Indian from the land of aromatic Basmati, I am extra fussy about the rice on my fork. It is said that a person’s (women as much as men) pupils dilate when their retina catches an attractive image. Thats what happened to me. I forgot my favoritism for olfactory basmati preference, when the cheerful turmeric rice glided before us. The artistry of presentation and crunchy sides were too much of a visual delight to resist. The TEXAN BBQ CHICKEN marinated for two days was so moist that it fell off the bone and melted in the mouth. Asian taste budslike mine like more spice, but my American friends would really love this. I personally just fell for the SEARED SALMON that came with potato mash and veggies the best. 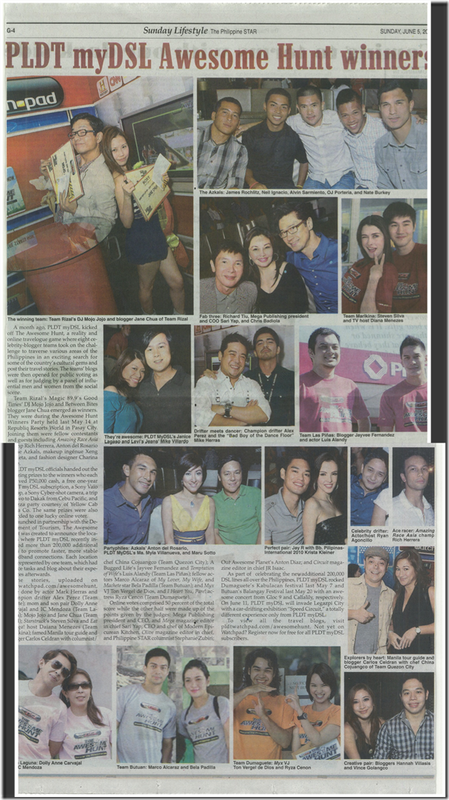 For Yuppies -in-a -hurry, and girlfriend get-togethers I could really see myself recommending the PASTAS at Stock Market. Carbonara with vegetable fettuccine is unique in its sea-food dominance. But you can ask for pure vegetarian variations, as I always do when my mom is visiting (who is no-fish-vegetarian). Overall the food is low on salt, oil and calories. and high on texture, taste, temperature and FRESHNESS. Gourmet Sandwiches are next on my list, because I know I am going to come here more often. On the adjoining table I was seeing those guys devour the TRIO GASTRONOMY. It was chunks of chicken and in a cheese melt loaded atop the sandwich base. Comfort food…. He smiled a proud yet shy happiness. His eyes were gleaming with satisfaction. A labor of love it is…. and it shows. Eight years in US, developing meals, walking the culinary landscape of the Occident and being awarded the Star Chef of the month at Wynn Hotel, Las Vegas could not have given him the pleasure of returning to his home-country and creating a new kitchen concept here. He loves to bring in his experience for the locals as well as expats who can delight in these creations. If I was shying from commitment — like most foodies who love to try something new each time– after eating here, I am ready to make this a lasting friendship. STOCK MARKET, QUADRANT 3, BONIFACIO HIGH STREET,BONIFACIO GLOBAL CITY.TEL;8566300/8562888. 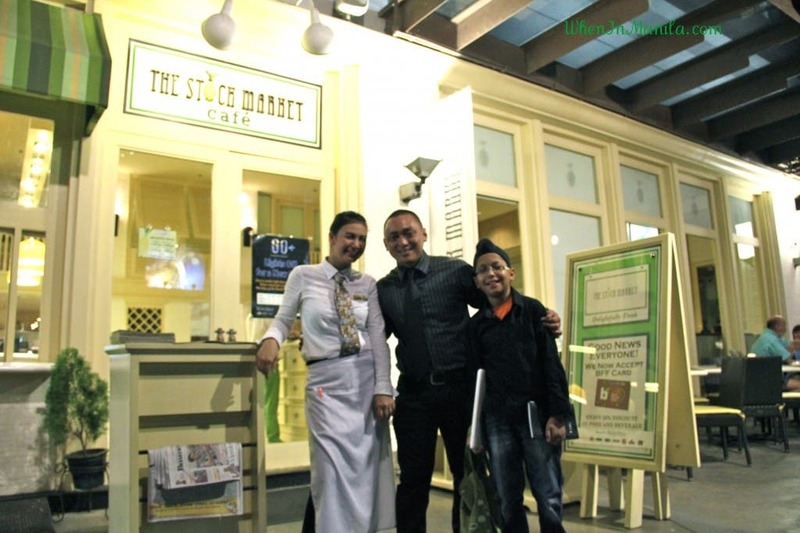 E-MAIL: the stockmarket@­bistro.com.ph. Hello. I am Harveen, an Indian national living in Manila. I hope this made an interesting read for you. I am interested in writing about stuff that may interest myself and others even over long periods of time like some places, products, people and arts. You are welcome to visit me at my personal blog as well- http://overchaa.blogspot.com/ 'Over chaa' means over a cup of warm tea/chai/tsaa/chaa'-- that's how friends vibe over a cup of brew.... I began contributing to When InManila when I met Vince Golagco, our Founder and Editor at a Writers' Forum in the Philippines. 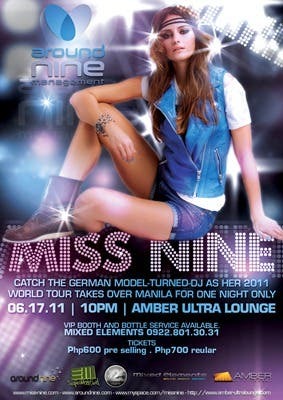 When in Manila Rocks!